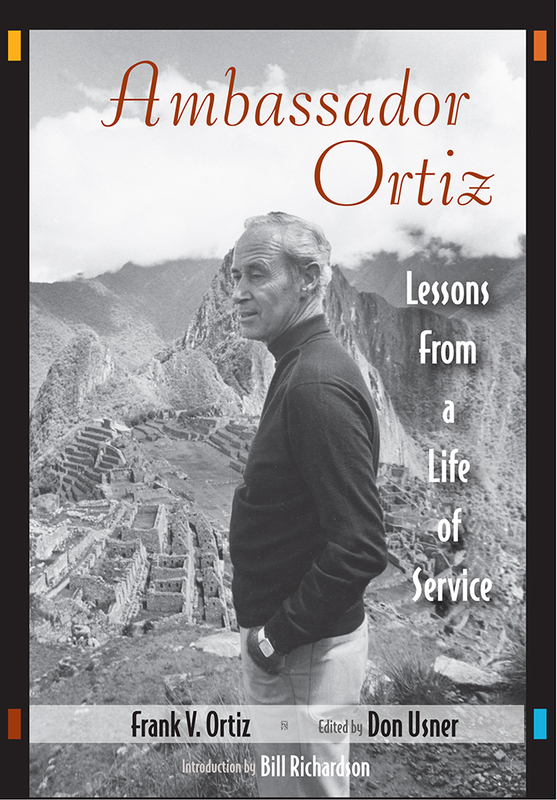 Ambassador Ortiz's memoir is as fascinating as has been his career over four decades in the United States Foreign Service. An Air Force veteran of World War II, Ambassador Ortiz's first assignments were in the Middle East and Ethiopia. His most significant diplomatic work was done in Latin America. There, he took on missions in Mexico, Peru, Uruguay, the Caribbean, Panama, Guatemala, and Argentina. He held posts in Washington, D. C. at the very center of U.S. power. Ambassador Ortiz reflects on the hazards and challenges of diplomatic life; he was falsely accused of being a top CIA agent. He recounts a little known aspect of the Cuban missile crisis. His assignments in Peru, Uruguay, and Guatemala exposed him to the terrorism of Marxist guerrilla groups. Ortiz served under six U. S. presidents, worked directly for Henry Kissinger, and shares many intimate moments, including a remarkable meeting between President Jimmy Carter and Sir Eric Gairy, the prime minister of Grenada, who regularly spoke to God and the crews of flying saucers. "Ambassador Ortiz's autobiography, to which I contribute these lines, is (a) collaboration in which we share a commitment to the coming generations by inspiring them to reach for the stars. In writing his autobiography, Ambassador Ortiz, an 'ordinary but curious kid from Santa Fe' as he would have it, tells us how he made that stretch. We have faith that our joint aspirations will again be fulfilled as new generations rise to the challenges our world presents." A thirteenth-generation New Mexican, Ambassador Ortiz, 1926-2005, resided in Santa Fe. Don Usner is a professional photographer and the author of Benigna's Chimayo and Sabino's Map. He lives in Santa Fe. Bill Richardson is the governor of New Mexico and served as the U. S. Ambassador to the United Nations in 1997.